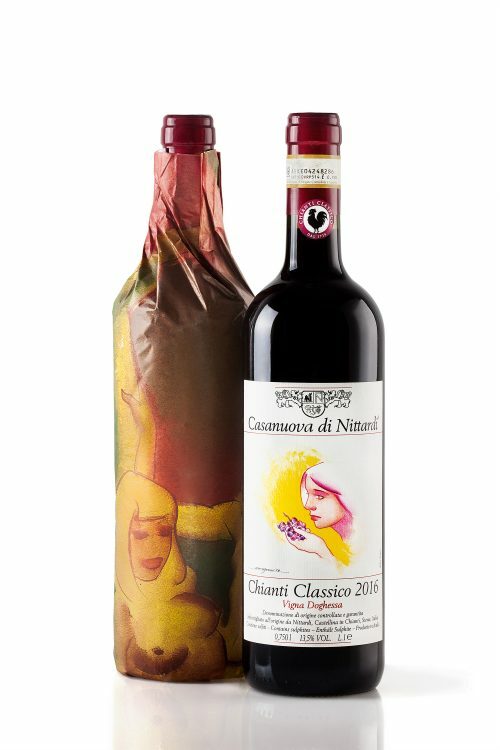 Casanuova di Nittardi Vigna Doghessa is the Chianti Classico Annata of Fattoria Nittardi. Made entirely from Sangiovese, the grapes of this fine wine grow on a south-facing hill at 450 meters above sea level and has a soil full of schist stones, which engenders the wine with a strong minerality and pleasant freshness. In addition to the traditional wine label, every year since 1981 a limited edition of bottles is adorned with a label and wrapping paper created by a renowned artist – to date, amongst others: Hundertwasser, Janssen, Penck, Yoko Ono, Paladino, Tomi Ungerer, Günter Grass, Kim Tschang Yeul, Hsiao Chin, Alain Clément, Dario Fo and Joe Tilson. 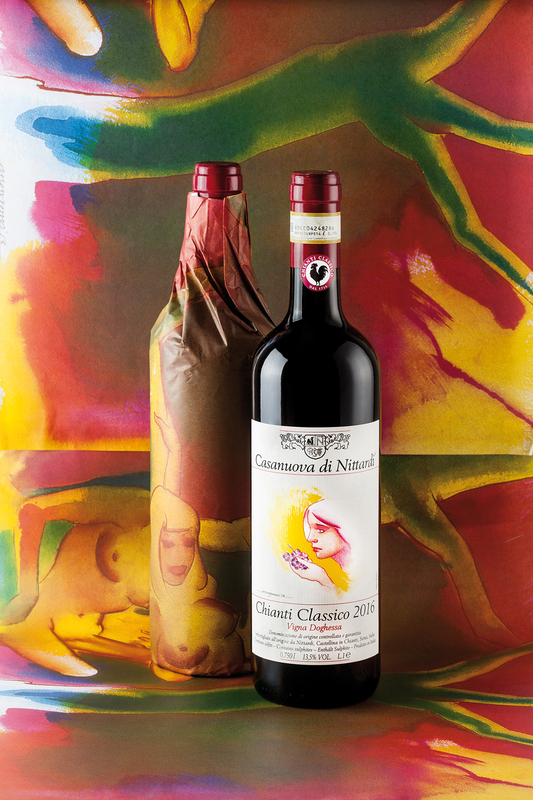 The artwork for Casanuova di Nittardi 2016 is designed by the british Pop Art-artist Allen Jones (born 1937). Profile: Rich ruby red color. 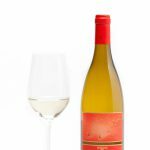 Intense red fruit character – ripe cherries and plums dominate, with interesting notes of garrigue and white pepper. 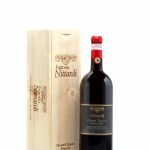 The palate has a beautifully elegant and juicy structure with an important tannic backbone that gives length to the wine and will make it age gracefully. 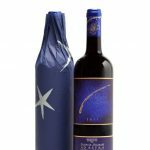 This is an important wine that can be served with different types of food. I would love to drink it to a traditional Ossobuco in Bianco or to a Peposo dell’Impruneta. Best served at approx. 16° C (slightly cooler than you would normally serve your red wine). 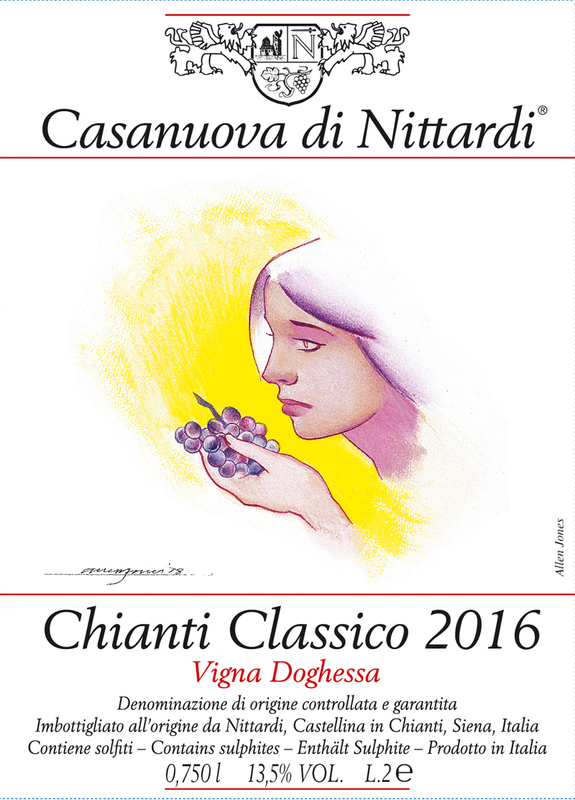 Be the first to review “Nittardi, Casanuova di Nittardi 2016, Art Label” Click here to cancel reply.